Police are investigating a crash and shooting. 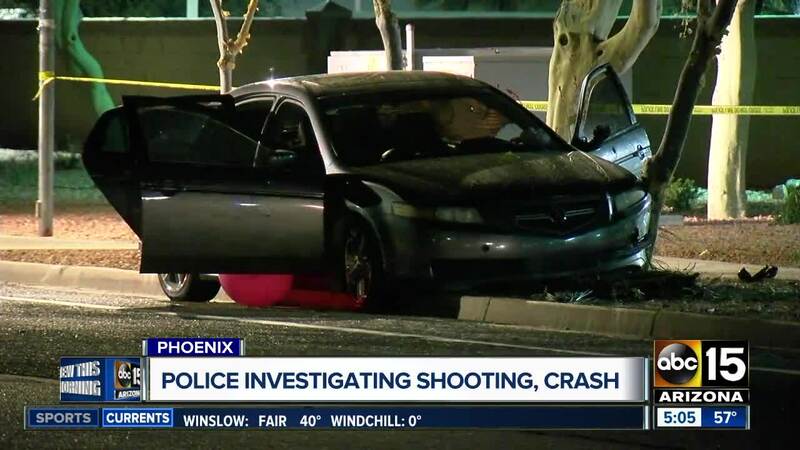 PHOENIX, AZ — A man is recovering after being shot in Phoenix Sunday night. The incident happened around 9:20 p.m. near 44th Street and Roeser Road. Phoenix police said officers were called to the area to investigate a shooting call. When officers arrived, they found the victim outside a crashed vehicle with a gunshot wound to his back. Authorities said the victim was transported to the hospital with what is believed to be a non-life threatening injury. The victim told police he had a confrontation with the shooting suspect while driving on Roeser Road. The victim said he collided with another car and that caused him to crash into a tree before officers arrived. The victim is not being identified at this time.